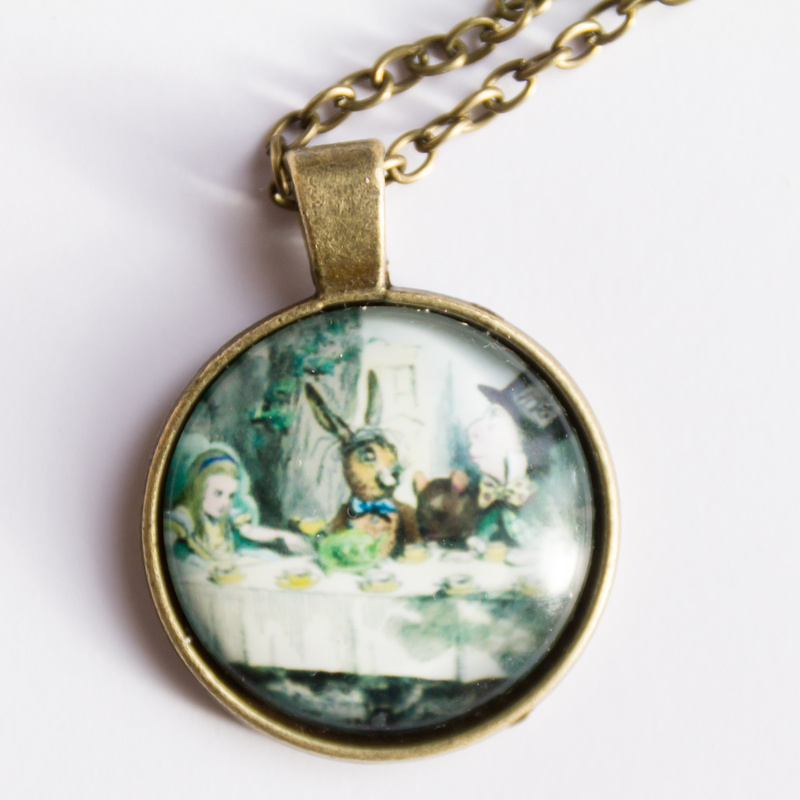 I am always on the hunt for good eBay deals and whilst looking I came across a very beautiful looking Alive in Wonderland necklace, costing only £1.20 with free postage. The listing image was the picture featured below, which looks beautiful, but I know that often when looking at cheaper items and eBay deals online the image doesn’t necessarily match the item you receive. I had seen the same necklace in an earlier search for around £7 so I thought I would give it ago, see the quality of the item when it arrived and whether it was worth it. The order was coming from China so I knew that there would be a bit of a wait but it actually arrived within about 2 weeks. When it arrived I was so happy with it, the quality is quite high and the listing image actually matches with the item itself – one of my successful eBay deals! 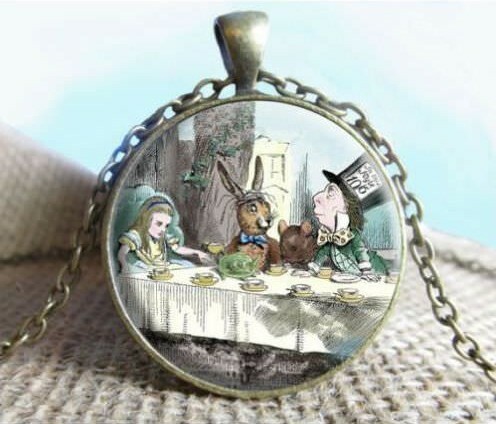 The image quality of the image isn’t as high or as detailed as the listing image but it still looks lovely if you are an Alice in Wonderland fan. 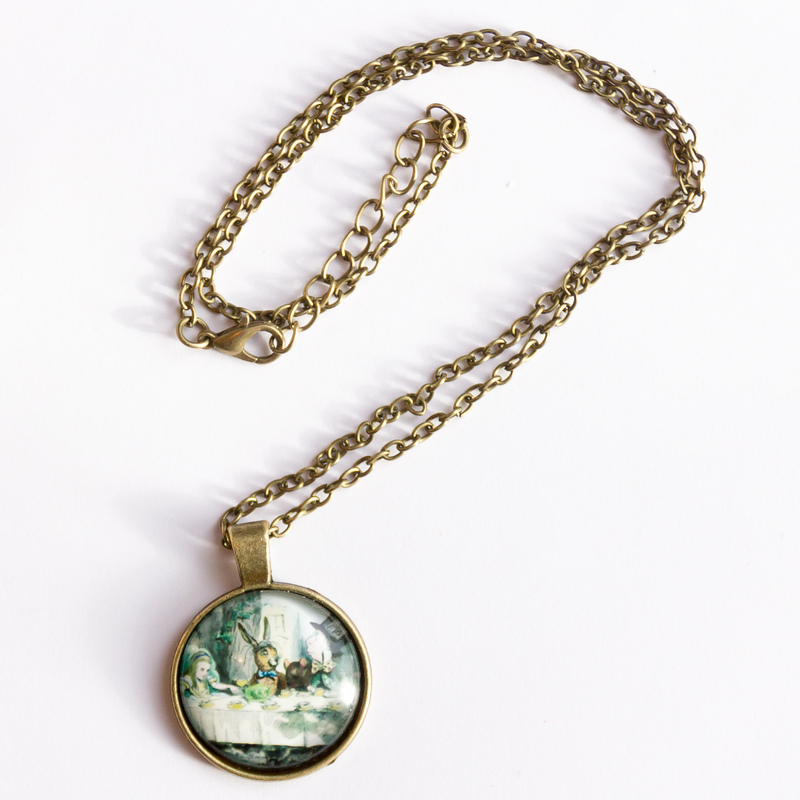 The listing mentions a silver chain which this definitely is not, its brass toned to match the pendant base. The clear dome encasing the image is very strong and tough, I think it is actually glass but for the price I was expecting it to be plastic. The high quality dome on the necklace makes it seem far more expensive than it actually was. Overall I was very impressed with my eBay deal. 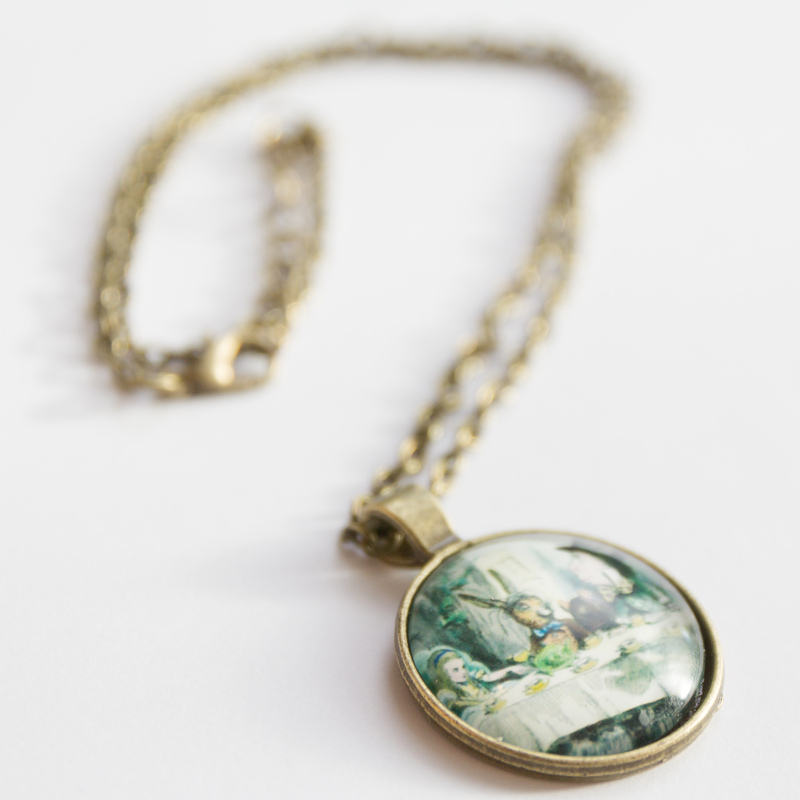 If you received this necklace as a gift you would not know that it was a cheap item as it looks far higher quality. Remember if you are on the hunt for more eBay deals to check out my other online bargains here.